The fish are now hanging inside on our mantle – I have a feeling they will be there for awhile! Such a cute idea & keepsake! What a great idea!!!! Thank you for posting it… I may try this for dad’s birthday! 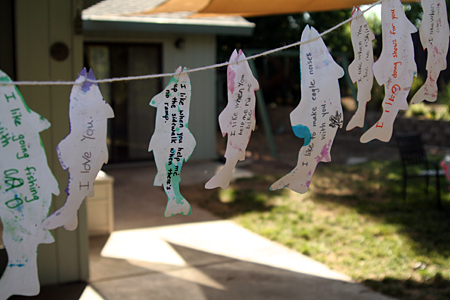 I LOVE this fish idea! 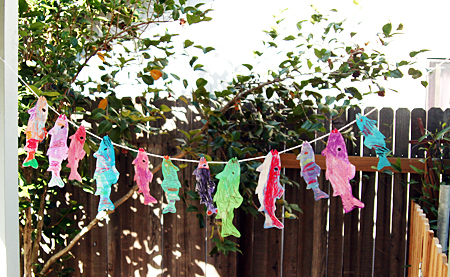 I’m going to get my girls started painting fish for our big family birthday celebration at the end of July. Thanks!